This picture was taken during the organizational meeting of the Baybay City Local Blood Council on February 17, 2018. 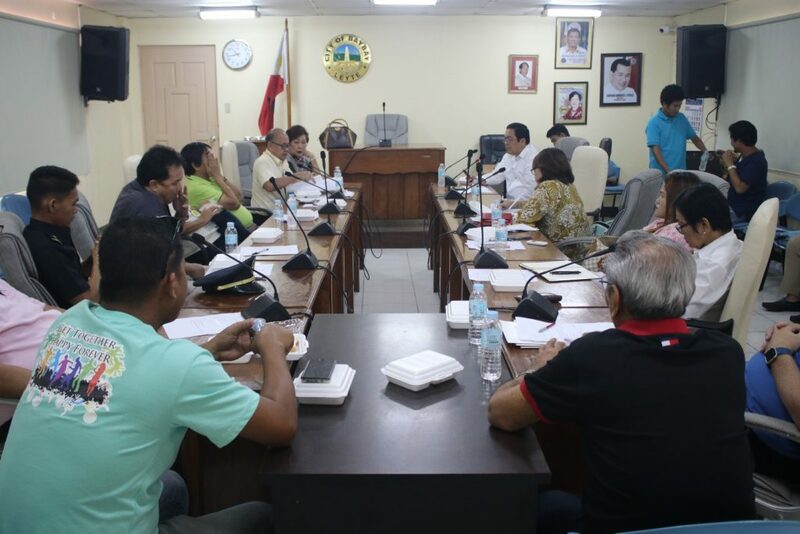 The Baybay City Local Blood Council (BCLBC) was organized on February 17, 2018, with Baybay City Mayor Carmen L. Cari as the Honorary Chairman, in response to the need for blood, most especially by the indigent populace of the city. The following are the officers and members of the Baybay City Local Blood Council (BCLBC). However, since the budget requirement for establishing and running a Blood Bank is quite high, the members of the BCLBC agreed to establish a Blood Collecting Unit (BCU) instead of a Blood Bank. As a matter of fact, Dr. Norberto Oja, the BCLBC Chairman, with some members of the council went to the Catarman Provincial Hospital in Catarman, Northern Samar on March 12, 2018 to learn from their good practices. Ms. Jeane T. Pelayo, the Coordinator of the National Voluntary Blood Services Program of the Catarman Provincial Hospital, discussed about their accomplishments and how they were able to put up their Blood Bank. It could be recalled that Republic Act No. 7719, also known as the National Blood Services Act of 1994, promotes voluntary blood donation to provide sufficient supply of safe blood and to regulate blood banks. This act aims to inculcate public awareness that blood donation is a humanitarian act.